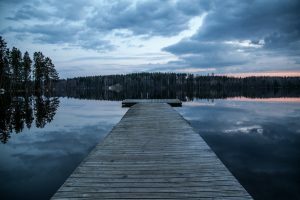 Looking for Finnish Translation Services in Australia? OPAL Translation has a unique style for providing Finnish translation services. All of our Finnish translators are certified by NAATI and strive to meet its strict standards. We offer professional NAATI Finnish translation services and combine it to our client’s requirements. We are one of the leading Finnish translation services providers in Australia. We aim to provide the best Finnish translation services to all of our clients. Our network of Finnish translators in every field allows us to accept Finnish translation services for both small and high volume translations. We have a team of project managers, customer representatives and Finnish NAATI translators who are available 24/7 to provide you fast Finnish translation services. If you want a quotation for our services, please contact us using the contact form on this page. The Finnish language, also known as Suomen kieli and Suomi) is mostly used by a huge population of Finland. The language is among the two official languages of the country. It is also used in Sweden. 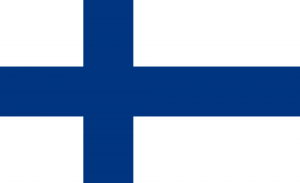 Finnish belongs to the Baltic-Finnic part of the Finno-Ugric group. It is also a member of the family of Uralic languages. The Latin alphabet is where the Finnish alphabet was taken from. Currently, it has 28 letters without W. The letter is merely listed as a variant of the letter V. There are three additional letters to the usual Latin alphabet, these are Å, Ä, Ö.
Don’t be surprised if your Finnish document has lesser texts than the English translation. This is because the Finnish language has fifteen cases with a system of infinitives, suffixes, particles and enclitic particles. We offer our Finnish translation services for the most competitive rates in Australia. In fact, we are one of the most affordable providers. Starting at AU $69, you can order one of our Finnish translation services at your convenience and the comfort of your own home. Note: Prices depend on each document’s translation turnaround time, number of pages and subject matter. We can give you an exact quote in 15 minutes; simply fill in the online quotation form on this page. Our Finnish NAATI translators have a usual turnaround time of 2 to 3 working days. If you need your translation sooner, we have Instant and Express Finnish translation services where we can provide fast Finnish translations within 24 hours. Just let us know when you need your translation and if you want to avail of our Instant and Express Finnish translation services. For each Finnish translation project, we allocate the best Finnish NAATI translator who has the right qualifications and skillset to produce top quality Finnish translations. We also have project managers who oversee the translation process from receipt to delivery and double check for any errors. With OPAL Translation, you will be confident that you will be receiving the best translation quality for your Finnish documents. Complete the free quote form located on this Finnish translation page. Attach your document, and our language specialists will assess it to provide you with the most affordable translation quote within 15 minutes for FREE.